In the current world, the smart home market continues to take an upward trend across the globe. Home automation has become so significant and brings huge revenues according to the current statistics. These cool additions in homes will soon become essentials to every homeowner. 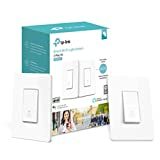 Once you install Smart Light Switches connected to the Wi-Fi, you are likely to wonder what you ever did without them. With the new technology, you can control your home lighting from everywhere. 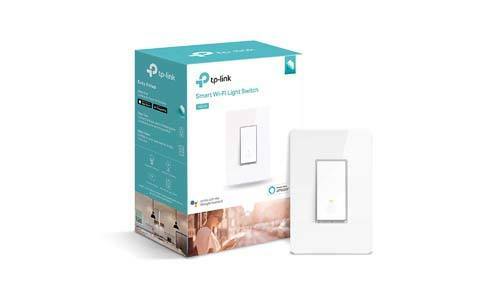 The smart light switch looks more like a standard switch that is installed into your wall to control lighting, fan or the power from a socket. With the smart switch, you can control the switch with your smartphone using an app. 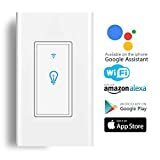 You can turn on the power from the comfort of your phone, set schedules and also get a chance to tie all the lights jointly to other smart devices. 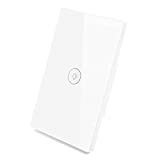 Smart wall light switches are useful in that you can also connect them with your smart devices such as smart doorbell so that when a visitor rings to your house, it turns lights on automatically. 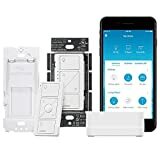 Lutron Caseta Wireless dimmer, Pico remote control, and Smart Bridge give you the convenience of adjusting lights and shades in your home from a smartphone. The device is more reliable compared to others in the market and affordable too. You can adjust the lighting depending on the activity which may range from reading to casual dinner using the wireless dimmer. Pico remote control allows you to control lights from anywhere in the room. With HS200 you can control lights, fans and other smart devices from places of your convenience. 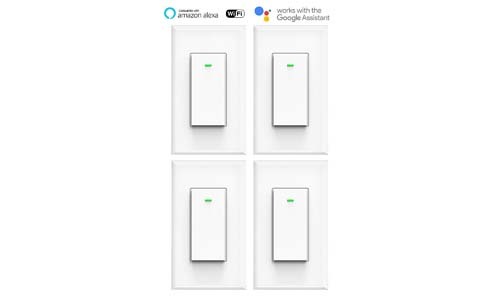 This device replaces other standard light switches and also connects to your household Wi-Fi easily with the use of free Kasa app. Kasa app helps you manage all other connected fixtures using your smartphone or other smart devices. You also can set schedules, countdowns as well as timers. You can also use your voice to control using Amazon Alexa, the Google assistant as well as Microsoft Cortana. 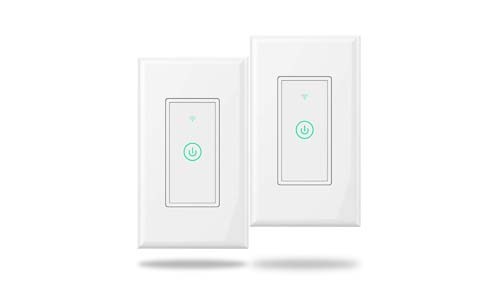 The Wemo Light Switch also be paired with the smart devices to control lighting in your home. You can also use your voice to control using Amazon Alexa or the Google assistant. 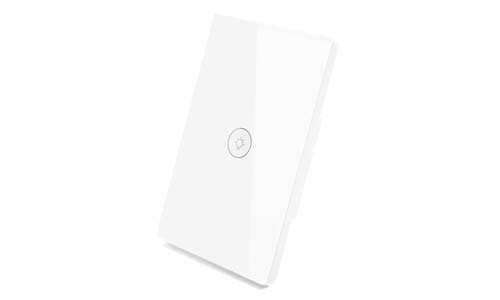 No subscription or hub is required while using this device and it connects to your home Wi-Fi easily. 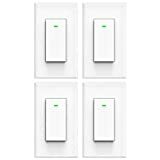 Wemo Light switch can control nearly anything ranging from ceiling fans to porch lighting as opposed to the conventional light switch. With the use of a well-designed setup wizard Meross app, this device is easier to use and replaces the traditional wall switches due to its more significant advantage. It works with the Amazon Alexa and Google Assistant. You can also access the sunrise and sunset setting from the smart switch. You can also set the auto-off timer routine depending on your daily schedules and needs. 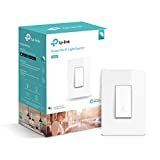 No need for purchasing additional hub as the switch connects easily with your home Wi-Fi. This device provides you with a higher level of convenience in adjusting lighting as well as shades for different activities around your home. You get to have a great energy saving solution that is easy to install and use. 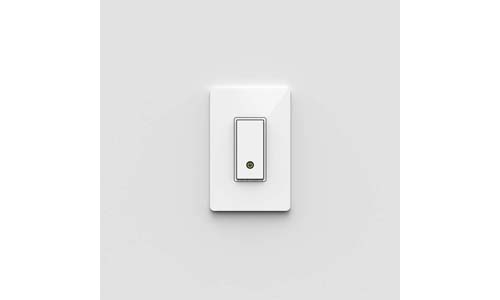 You can switch on and off the lights from any part of the world which helps you to cut the bills. Lights and shades can also be scheduled according to the time of the day or on different occasions. All you need to have while using this device for your home lighting is a free app in your smartphone or tablet. You can perform tasks such as opening air conditioning, opening warm light in your bedroom even before you get home. You can also turn off the lights at once using the mobile app before leaving the house or going to bed. You can also set schedules and times depending on your need. The HS210 Smart Switch is a suitable replacement for the conventional 3-way switches whereby two switches control the same light. 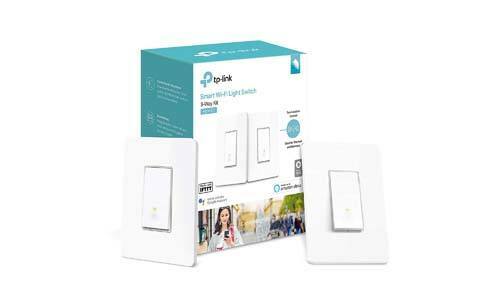 The kit has two smart switches that are designed to work together with the 3-way switch wiring. You can use the Kasa app guide for easy installation of the device, and you will be able to control energy consumption from anywhere. Micmi smart light offers protection to your home, has a schedule timer, and the light turns on time even if you are not at home. No extra hub is required as the kit connects easily with your home Wi-Fi. 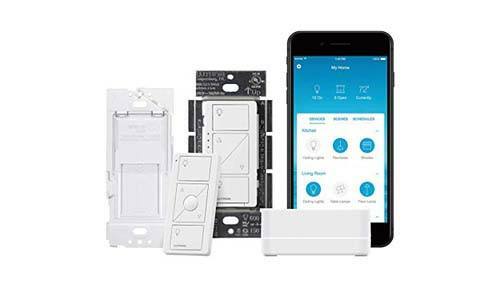 The TGWF15S Wi-Fi Smart Switch has functions such as setting schedules, you can also customize the kit to your personal touch, has timers and can trigger a chain of actions around your home. The TGWF15S is beneficial for your home security, power-saving solutions have quality components and are made of fire-resistant material. The kit performs as a single pole or a 3-way with a rocker switch. Installing TOPGREENER app is free for the smart devices, and you can use it to control the use of the Wi-Fi switch. 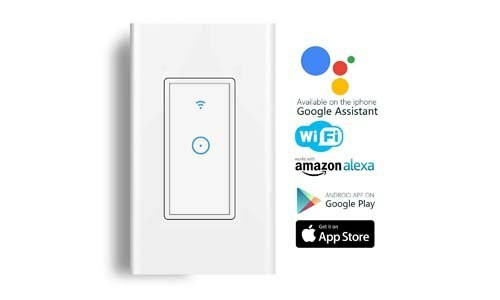 While using this smart switch, no extra hub is needed as you can use the existing Wi-Fi connection in your home. During the installation process, you can easily replace the conventional switches directly and immediately start controlling your lighting from your mobile phone. These devices are vital in providing necessary security at homes while you are away as well as in helping you monitor the power usage which helps significantly in cutting the costs of the lighting bills. With the use of the mobile app, you can control lighting or energy consumption from other plugged-in devices in your home with just a few taps from your phone at your convenience. You can be at peace of mind at any time knowing your home is protected. 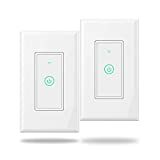 Most smart switches can just go over the existing standard switches in the house however some may need installation just like the normal one for light switches on the walls. It’s an easy exercise, but it is always advisable that if you are not comfortable installing them all by yourself, you may hire a qualified electrician. Smart home devices have become familiar to people with many people purchasing them for their household uses. 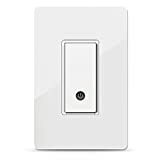 Smart light switches are among the most accessible devices to use and install in the houses. 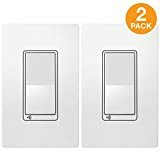 Searching for the smart light switches can prove to be confusing to the first time users especially because there are many types and models in the market to choose from. 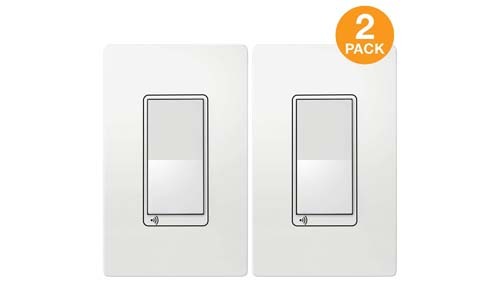 The above named smart switches should be considered as the best models as they give intelligent solutions to the users. Most of these devices have been ranked the best internationally and hence the need to purchase the choices for your energy regulation at home.